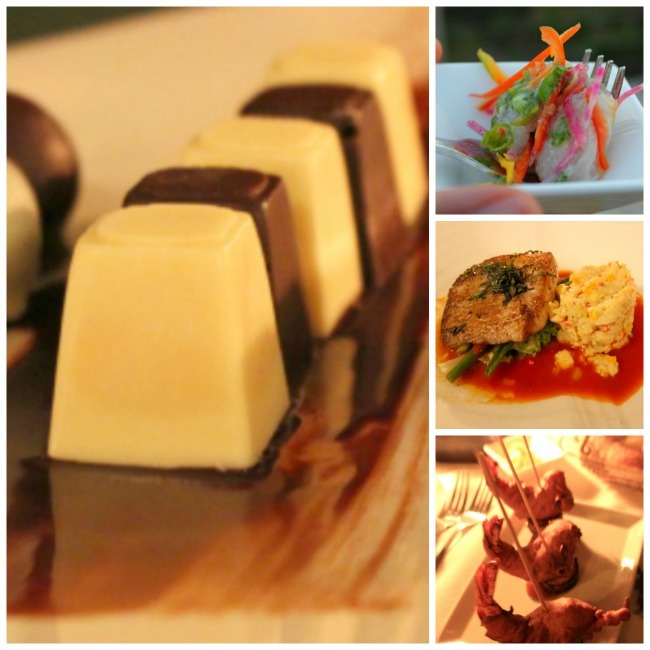 As I ended my visit to the island of St. Lucia – I realized I had focused so much on the beautiful surroundings – the adventures, the lush vegetation and the fascinating people – but hadn’t given much thought to the cuisine. I had indulged in the fresh fish, shellfish, locally-grown vegetables and fruit – and discovered a new hot sauce too. I got to taste locally-grown cocoa, as well as locally-made chocolate – and ate well at every meal. And yes, that last picture is steak and shrimp. After four days of fish and shellfish, a little meat was a welcome pairing with my spicy St. Lucian shrimp and grilled asparagus. Excuse me while I wipe drool from my keyboard.